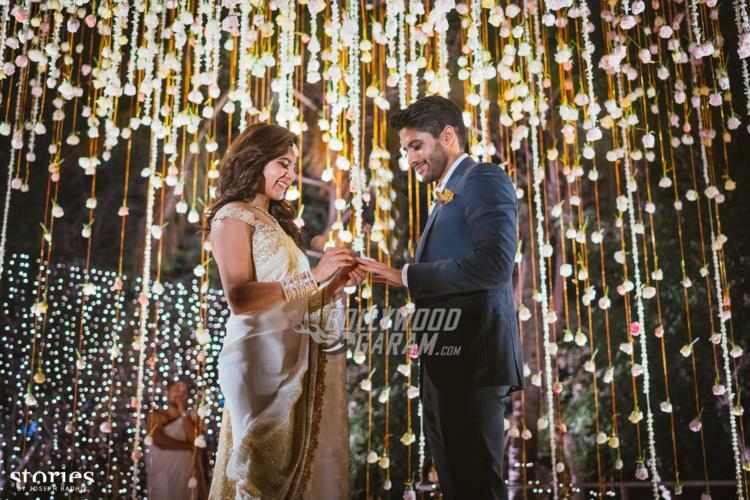 South star Nagarjuna’s son Naga Chaitanya and actress Samantha Prabhu are ready to recite their wedding vows. The actors are all set to get married on October 6, 2017. The news was revealed by trade analyst Ramesh Bala through Twitter. Ramesh posted an engagement picture of the two and wrote “ @chay_akkineni and @Samanthaprabhu2 r getting married on Oct 6th of this year.. Advanced Congratulations”. The two got engaged in a private ceremony in Hyderabad on January 29, 2017. The engagement ceremony was attended by just the immediate family members. Naga Chaitanya and Samantha were roped in for a Telugu film Rarandoi Veduka Chudham, but the project was shelved due to date issues. Samantha will soon be seen sharing the screen space with her future father-in-law Nagarjuna in the upcoming horror film Raju Gari Gadhi 2. Chaitanya’s brother, Akhil Akkineni too had got engaged to Shriya Bhupal in December 2016, but the engagement was called off just a few months before the wedding in Italy. Reports say that the wedding was called off after the two had an argument at Hyderabad airport. The wedding was expected to be a lavish ceremony in Italy with 700 guests. The guests, who had already booked the tickets to Italy were informed by the family to cancel their tickets.